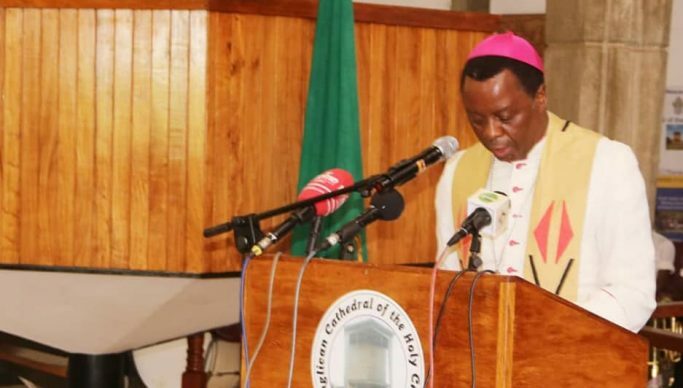 The Zambia Conference for Catholic Bishops (ZCCB) says the National Dialogue and Reconciliation process has generated unprecedented negative reactions in the history of political discourse in Zambia. ZCCB president Bishop George Zumaire says the animosity being exhibited by some stakeholders experienced towards the reconciliation process is something that has never happened before despite the church having a history of leading the process. Delevering his sermon for the launch under the theme ‘becoming anew’, Bishop Zamire said people willing to dialogue should be ready for change “If you are in Christ, a real fearing nation that defines and calls itself Christian, it means you are called to be a new creation. The old has passed away, and the new reality has dawned in us. This new reality comes to birth at our baptism when we accept Jesus Christ in our lives to be his children…therefore, this launch is a mere reminder of who we are before God”. He stressed that the process is an opportunity for leaders to make this change in all aspects of life beyond the religious circles to the economic and social issues emphasising that “when we embark on this road of dialogue and reconciliation we should be prepared to embrace change. Change that will embrace the creation of who we are”. He said Zambian leaders should always ask themselves if they are prepared to let other citizens live like second class citizens because of the ill application of law to a situation where every individual Zambian should feel that he or she enjoys full rights as a citizen of this country. “Are we prepared to change from a political culture of insults and violence during the campaigns to a culture where respect of one another is highly valued? And peaceful campaigns become the norm of doing politics? Are we prepared to make a transition from a culture that sees corruption as the only alternative to see things happen? Are we prepared to turn into persons who are allergic to this cancer but value only honesty and integrity of life? Are we prepared for this dialogue?” he asked. And making his statement of purpose Evangelical Fellowship of Zambia (EFZ) board chairman church Bishop Paul Mususu pointed out that no disagreements in life can be managed without dialogue and general consensus. “The fact that there are people who are absent here is a clear indication that we need to talk. If you don’t talk then you will pick up pangas and guns and we do not wish that for our country. We have learnt a lot of lessons from our past experience, how this venue (Cathedral of the Holy Cross) has been used to resolve some our serious national challenges” he said. Mususu said in the past, conflicting parties have come under one roof in the cathedral to dialogue and iron out their differences “it is synonymous with dialogues, peace accords, indabas, prayer, forgiveness and reconciliations” stressing that the last couple of months has seen so much divisive talks which have been building anxiety in the country. “Many people were hopping that someday, there will be good news coming out of the dialogue process. That day has finally come. This gathering is the first stepping stone of that process” saying the church has carefully considered the challenges of the country in the last three years and have been trying to establish ways of contributing to the peace process in the nation. “This is our biblical mandate and this is why we exist. That is why we are launching this dialogue process that is expected to serve the citizens at large and not only the people gathered here” he challenged pointing out that “representatives of various stakeholders and groups will be contacted to solicit their participation, including those who have not come. Even those who have declared a boycott of this meeting are part of the Zambian society”. Meanwhile Chief Government Spokesperson Dora Siliya said that President Lungu could not attend the dialogue as he was out of the country attending a SADC Extraordinary Congress on the DRC crisis. Siliya said even if President Lungu was in the country he would not have attended as no official invitation had been extended to him. “The President of the Republic of Zambia has not received any invitation to attend the dialogue. Even if an invitation came today it is impossible for two reasons, the President is out of the country,” she said. And her Home Affairs counterpart Steven Kampyongo supported her colleague during a radio phoenix programme “Let the People Talk” this morning.